The BEE speaker systems are really revolutionary: in an original and compact layout, they offer outstanding efficiency and great sound quality, with a wide and versatile control set. Great engineering and design provides optimum performance; choosing customized transducers and new synthetic materials for the cabinets. The cabinets are made of a high impact enclosure, allowing rugged sturdiness even with a light-weight structure, with an optimal ratio between rigidity and stability. 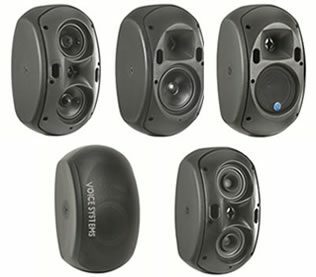 Thanks to the unique enclosure shape, all BEE speaker systems can be used as PA fixed installation sound systems. BEE speakers are an elegant choice with superb technology: Housed in a compact and contemporary design, these speakers offer remarkable efficiency and high quality sound, as well as an extensive and versatile set of controls.These speakers feature the latest technical solutions, like hoc acoustic components, lightweight yet durable synthetic materials and a special bi-amplification system (BEE MAX and BEE THEATRE). 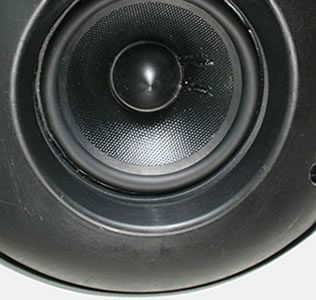 The speaker is specially engineered to be extremely durable while optimally portable.BEE Series Speakers can also be used in a fixed sound source installation (Public Address system), thanks to its efficient and convenient design. Built with proprietary Voice Systems technology, BEE series speakers provide a linear response even at maximum power – without distortion. 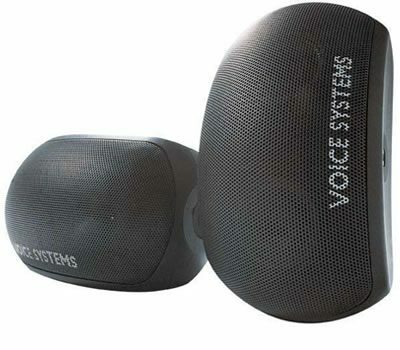 Voice System speakers represent a true breakthrough in sound reproduction quality – as they allow you to achieve a natural timbre with correct stereophonic effect.. 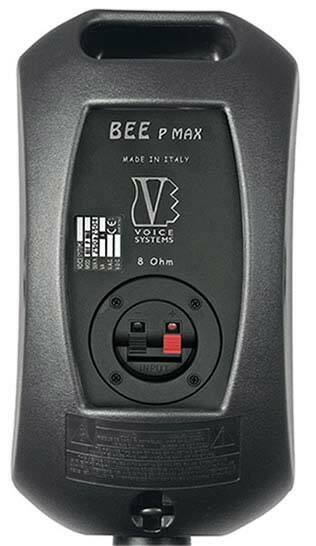 The Bee P Max panel connects the passive loudspeaker to it’s amplifier through classic + and – connections.